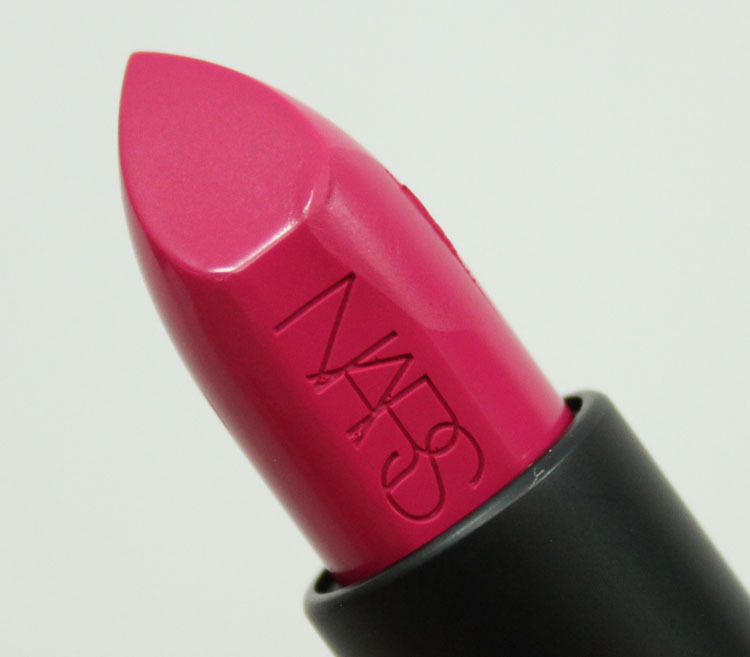 NARS Audacious Lipstick is a brand new line which coincides with the 20th anniversary of the brand. These lipsticks come in 40 shades, all with a full-coverage finish. They have “nutrient rich” ingredients inside which provide lots of moisture and a very creamy, smooth formula. 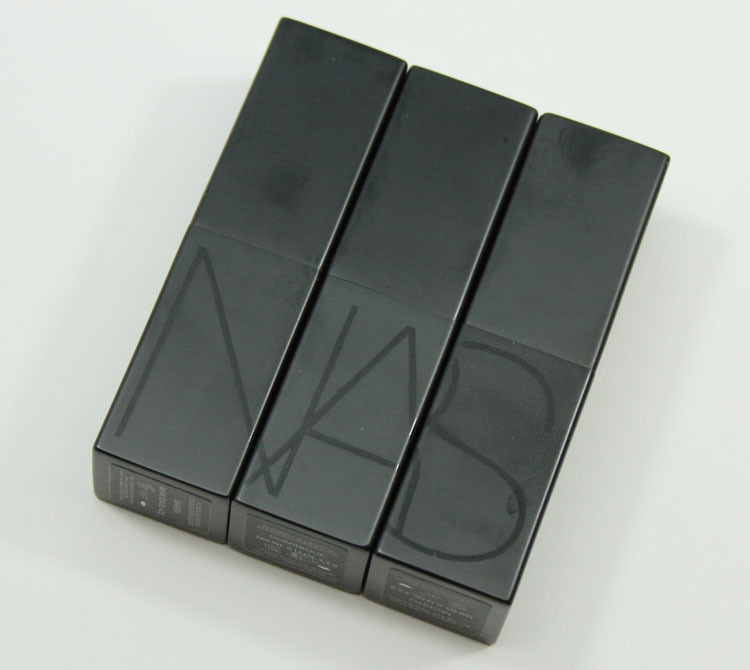 The new packaging is a black metal case with a magnetic closure, and the lipsticks themselves are embossed with the NARS logo. Ten of the 40 shades are exclusive to Barney’s New York and those ones are Vanessa, Julie, Marisa, Kelly, Carmen, Dominique, Silvia, Vivian, Sandra and Ingrid. 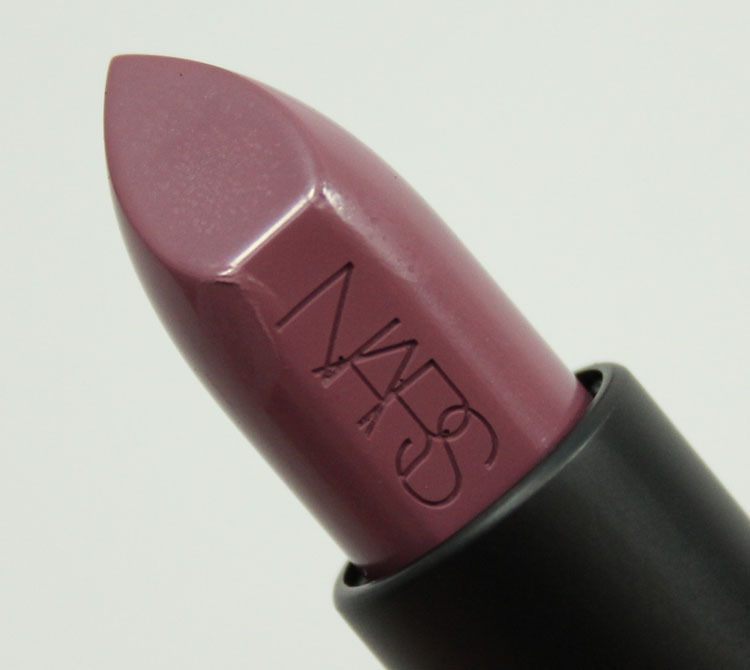 Marisa (Barney’s exclusive) is a warm, medium pink. Dominique (Barney’s exclusive) is a medium lilac. Michiyo is a bright, cool pink. 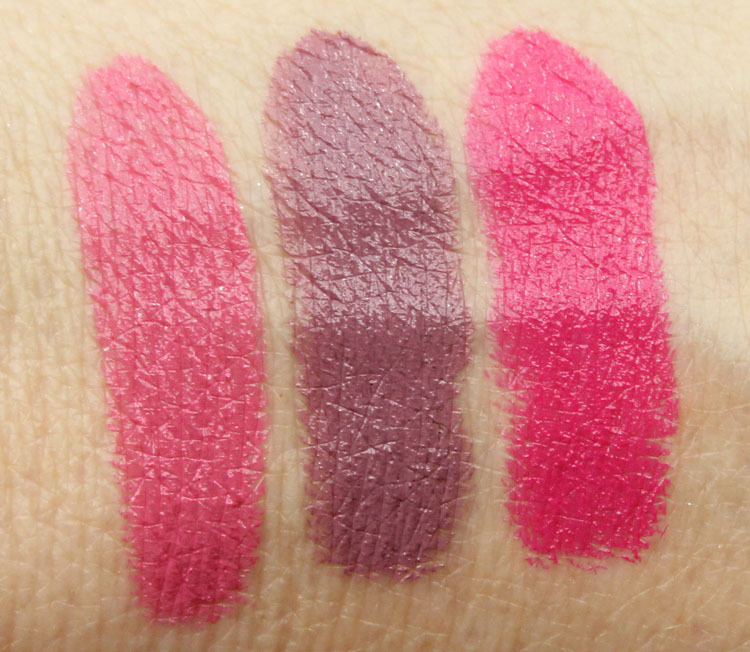 All three of these feel so incredibly creamy and pigmented! 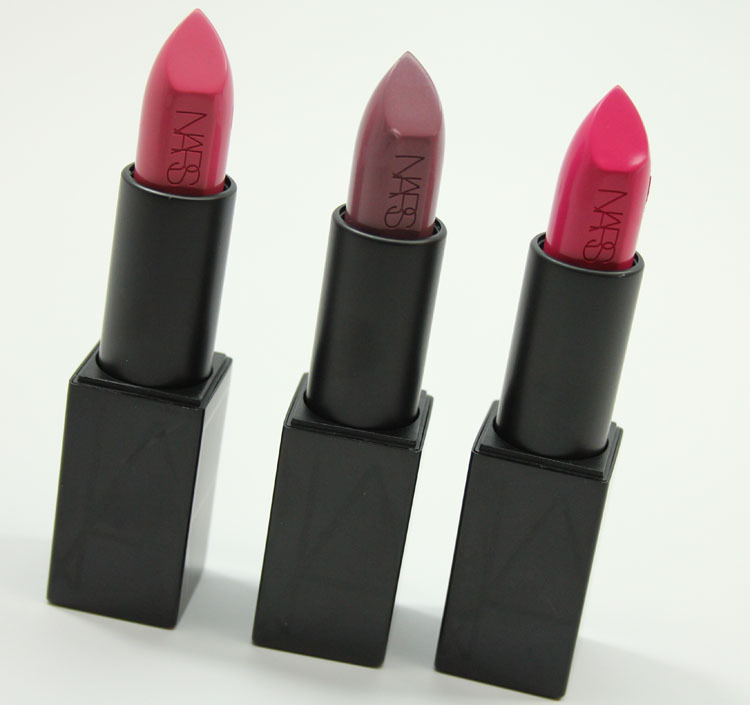 They cover really well, feel super comfortable on the lips, and I love all three of these shades on my skin tone. Dominique is a bit of a strange lilac shade, but it looks great with purple hair. 😉 Also, they have no taste or smell. Now I’m aching to try out more of these because the consistently and coverage is really very good. I like the magnetic closure, and the NARS embossing on them makes them look extra special! 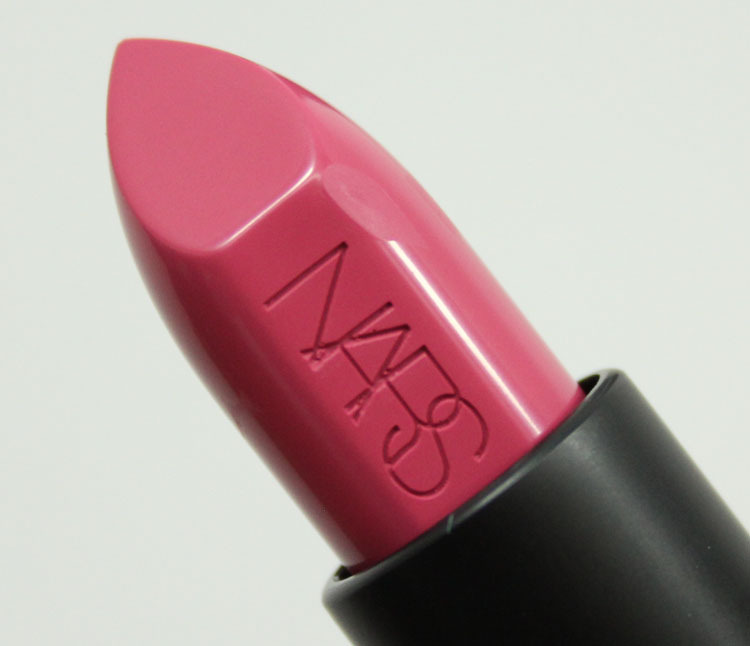 These are available now at Sephora, NARS and Barney’s New York. Are you going to try out any of these?